We've got the lowdown on UK universities - including traditional universities, distance learning institutions, university colleges, private institutes and UK summer schools - wherever you want to study in the UK, we have all the information you need! There has recently been a trend for establishing new universities in the UK. These new universities offer some great postgraduate options within a friendly, smaller student setting. Take a look at what's on offer. 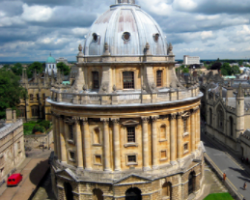 Oxbridge is a term that refers to two elite universities in the UK – the University of Oxford and the University of Cambridge. Here we have the lowdown on Oxbridge applications and admissions as well as the key to success in the interview process.